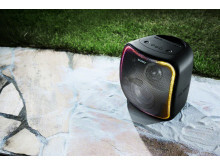 EXTRA BASS™ creates deeper and richer bass with high sound pressure that will enhance your favourite tunes. The XB501G is engineered to deliver powerful sound from satellite speaker units and subwoofer units which reinforce the sound pressure, while its clever rounded shape helps minimise vibrations and decreases sound interferences too. The Digital Signal Processor fully utilizes the EXTRA BASS technology to produce bassy, powerful sound. The LIVE SOUND mode on XB501G will allow you to experience your favourite artists as if you were seeing them live, with angled speakers and Digital Signal Processing technology that will create an expanded soundfield. This three-dimensional sound experience will recreate realistic festival vibes. 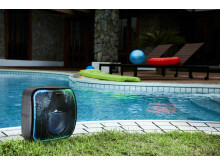 This durable speaker is water resistant and dustproof with an IP65 rating so you can take it from the patio, to the pool side, worry free. 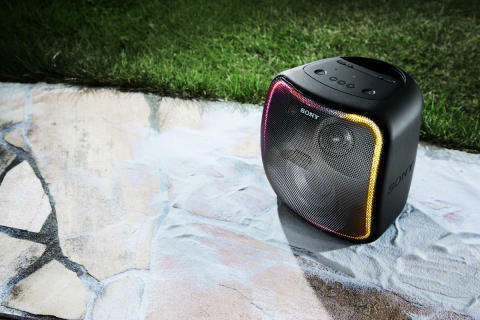 The 16-hour battery life, allows you to extend your listening time and keep the party going. You can also charge your smartphone with a USB Type-C™ cable. It is easy to carry thanks to an incorporated handle, so you can move it around freely and have it inside or outside whatever the weather. The XB501G is also able to be fixed to a tripod so your speaker can be elevated, meaning the sound pressure easily reaches to the people both sitting and standing. 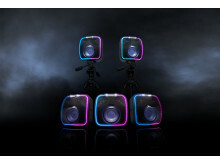 Make your listening experience unforgettable with the speaker’s unique strobe, speaker and line lighting effects. XB501G has the Google Assistant built in: it’s your own personal Google, always ready to help. You can use your voice to easily pick your favourite track, check the weather, or check the traffic as well as control your other smart home devices. With Wi-Fi capability, you can listen to various music services. 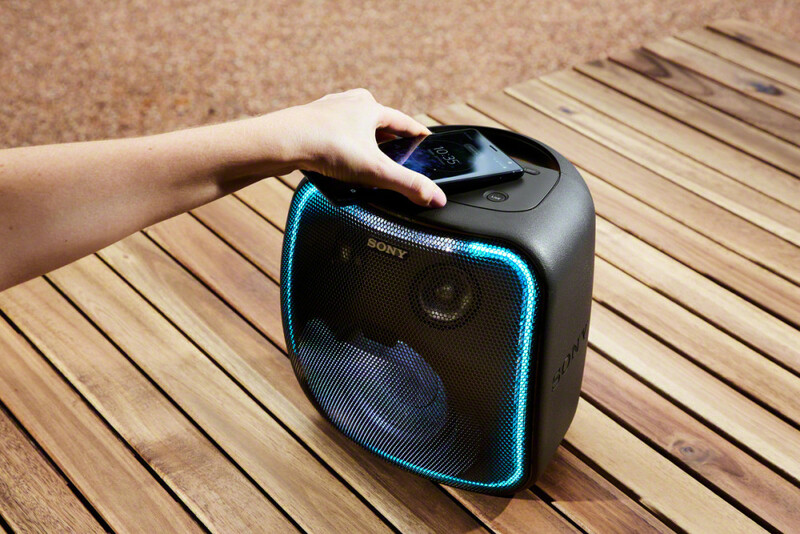 You can also listen to the music stored on your smartphone by connecting it to XB501G via BLUETOOTH® technology or NFC, and then use the Sony | Music Centre app to control your speaker without the need for a Wi-Fi connection. 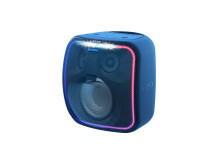 The SRS-XB501G portable party speaker comes in black or blue and will be priced at approximately £300 and €350 in Ireland and available from October. Depending on your country or region, outdoor use of the wireless devices that use the Wi-Fi 5GHz band may be prohibited by law. 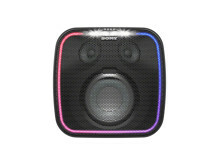 Follow the instructions in Help Guide to disable the Wi-Fi 5GHz band on this speaker. XB501G has up to 16-hour battery life when lighting is off in Standard mode. Actual performance varies based on settings, environmental conditions, and usage. Battery capacity decreases over time and use. 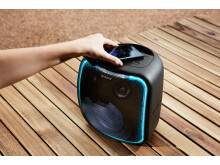 SRS-XB501G must be set up with the Google Home app before BLUETOOTH® technology can be used. Available in the UK, Germany, France, Italy, Austria, Spain and Ireland. The SRS-XB501G will be available in more countries soon.